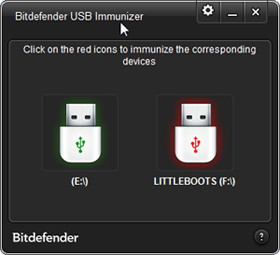 Bitdefender USB Immunizer is a free and easy to use tool that helps make sure you transfer the files, not the viruses. It disables autorun-related threats before they access the computer. Once installed, it constantly watches for newly inserted USB storage devices and immunizes them on the fly.